Linux driver for the SST-PBMS-PCI from Woodhead Industries, Inc. The vendor delivers this card with a Microsoft® 32-bit driver and an API provided by three dll files pbmman32.dll, SsPbm32.dll and pbmerr32.dll. Alle available functions are declared in various C-header files also available after installing the driver CD. The documentation Pbmman32.pdf explains the usage of this API in detail. 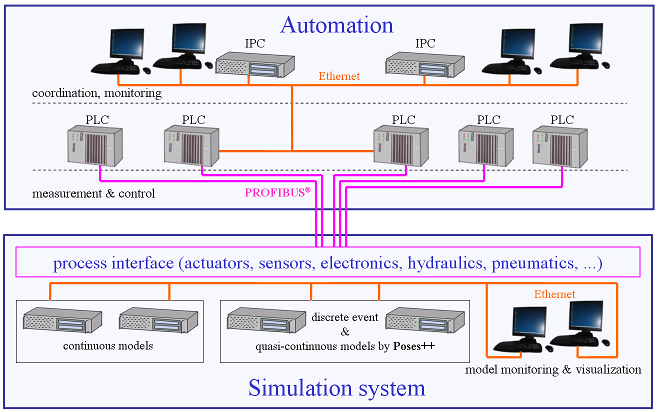 In a simulation project to test automation solutions we needed the PROFIBUS® slave emulation features of this PCI card under Linux and we developed the necessary linux driver for which we offer binary versions limited to one card and 16 PROFIBUS® slaves to download for evaluation. The Linux driver is developed for the driver model of 2.6.x kernels. 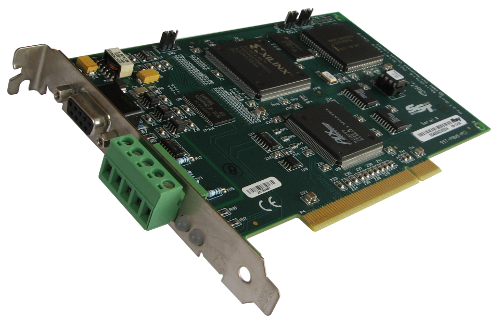 It supports up to 16 installed cards and per card up to 125 PROFIBUS® slave devices. For source compatibility of applications the same API as originally provided by the card vendor for the Microsoft® Windows® platform we developed the counterpart for Linux environments for which the interface is declared in pbmsapi.h and so no additional documentation besides the original documentation delivered with the card is necessary. All functionality is provieded by a static library libpbms.a. To invoke the driver a start/stop/restart script pbms_init as usual for SUSE Linux is included. When the driver is loaded successfully you will find the typical trace messages in /var/log/messages as shown in the screen dump. We did not put the driver under the GPL - GNU General Public Licence but we offer to you the download of free evaluation binary versions of the driver and the API limited to one card and 16 PROFIBUS® slaves precompiled for a 32-bit kernel 2.6.27 (openSUSE 11.1) and a 64-bit kernel 2.6.31 (openSUSE 11.2). In case you want to handle larger projects and you want to purchase a licence for the driver and the API without the evaluation limits we would like to submit you an offer. To install the evaluation driver after downloading pbms_XXbit_2.6.YY.tgz you have to unzip and untar the archive by "tar xvf XYZ.tgz" ideally into a local directory. You will find all necessary files under the directory entry .../pbms. At least call the init script pbms_init via "./pbms_init start" in a root account or include it in the init sequence in /etc/rc.d. To install the described Linux kernel driver you will need the necessary tar/gzip file which we offered until 05/24/2018 here on this web site for download by the help of a small web form. Due to the subsequent legal regulations on data protection according to the GDPR we decided to avoid to receive any personal data on our web site. Therefore we discontinued our download offer. In response to an email requesting the installation file, we will continue to provide Poses++ directly to you.